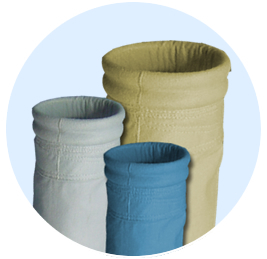 CASFIL’s dust collectors are made of high quality nonwoven felts produced on our site. We are able to suggest and develop the best air filtration solution to your company. Patented fixing system specially created to eliminate leaking problems in the tubesheet increasing filter efficiency with perfect sealing in damaged fixing holes. The system adapts itself and seals holes with up to 3mm differences.